Mt. 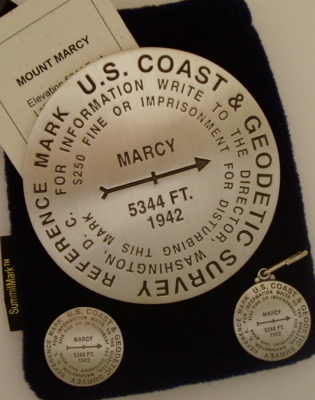 Marcy Zipper Pull This 1” diameter zipper pull is made of pewter and features a replica of the U.S Coast & Geodetic Survey marker located at the summit of Mt. Marcy (5344 ft.), the highest peak in New York State. Mounted on hangtag with information on the mountain.